CRM KPI's: Improved Performance Myth or Reality? The true value of a Customer Relationship Management system is to aid the company's customer strategy objectives—and notably to grow customer relationships for mutual benefit. To achieve such a goal, CRM software systems gauge management directives with insightful data analysis that demonstrates progress and results. Trends, statistics, and key performance indicators (KPI's) are the information that informs management whether they're achieving their goals, or they need to quickly implement course corrections. Most CRM systems today come with built in analytics and dashboards. However, with some applications the options are extremely limited while with others the choices are dizzying and confusing. Do you really need to see how many leads the Anchorage office gets each week? Or do you need to know that your customers are interested in a product that your company has decided to no longer support? You might. Or you might not. Determining the right performance metrics is a critical success factor and pre-cursor to leveraging KPIs. So how do you determine the right Key Performance Indicators? When trying to decide what metrics are most important, you need to identify those metrics that most directly impact the most strategic objectives; and you need to ask yourself several questions that can help organize your search for the perfect set of dashboards, charts and reports. The following performance measures discuss underlying insight and the not always so obvious measurement criteria. Just about everyone is interested in pipeline management—and particularly the health, quality, growth and predictability of the sales pipeline. Pipelines measure future inbound revenue and what's in your pipeline, or the quality of the pipeline, is as important as the size. KPIs can be used to determine historical pipeline realization rates. Management can then apply actual realization rates with key questions to determine what pipeline metrics will reveal the most telling progress, or lack thereof. For example, what types of deals are your sales people working on, and are those the right deals? More importantly, how do they measure up to the company's revenue target? Are sales staff focusing on the more profitable deals? How realistic is this pipeline? Without credibility and specific goals and targets, pipelines are irrelevant. Are you tracking the number of leads generated, or the number of qualified leads passed to the sales team? Are you tracking the growth of sale opportunities or the opportunity conversion rate? Are you tracking the cost per lead or the cost per sale opportunity? Are you measuring leads per campaign or ranking campaign effectiveness among all campaigns? 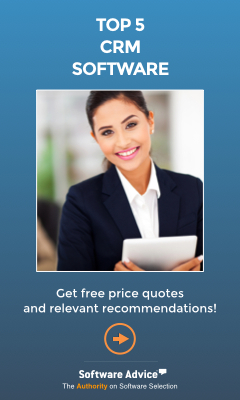 Are you tracking outstanding quotes or the quote to order conversion rate? Are you tracking the number customer touches by sales staff or the activities that advance sales cycles? Don't just focus on success metrics. Study after study shows that it costs much less to keep a customer than to get a new one—and that customer defections trigger big negative impacts to the bottom line. Identify your flight potential customers. These are customers who register complaints, call more often, call to ask about their contracts or obligation, or even more obviously, call to see how they can close their account. Sometimes, all it takes is a phone call, a relevant promotion or a customer loyalty reward to woo them back. Other times it takes a lot more. Lost leads and sale opportunities don't have to mean lost business. Tracking reasons why you did not win the quote can lead to improved sales performance, identification of problem areas or new product development—or even re-engaging the prospect upon changes in the situation. If your customers call to ask about a seemingly complimentary service that you don't currently provide, you might consider tracking the demand for that service and whether you can provide the service at the right price point. Measure the characteristics for successful deals. This can show you what you are doing right—and potentially how you can scale those efforts. It can also help you to increase customer share with customers that already know and like your company. Don't rest on your laurels. Leverage personalization, devise highly relevant messaging, implement promotions with complimentary products and keep customers coming back for more. Also look at the intervals between orders. This analysis can help you determine the sales cycle of each product so you can anticipate and focus your marketing prior to when people will start to re-order. Many sales organizations ignore measuring or relating the receivables aspect with the rest of the sales cycle. This can cause sales people to keep selling products to companies who may be credit risks. Traditionally, sales and Accounts Receivable are parts of the same equation that never the twain shall meet. Organizations sometimes do have legitimate reasons for doing this. They want their salesforce to sell, not collect. However, many a commission or bonus is tied to revenue recognition. This KPI should be visible to your sales people. They have built strong relationships with the customers and can influence getting that invoice paid better than a nameless voice on the phone or a piece of paper sent in the mail. Everyone wants to know who their most successful sales, marketing and other staff are. High achievers should be recognized. Furthermore, they should be emulated. Keep tabs on your most valuable assets, your employees; high producers as well as low producers. Timely performance metrics permit quick implementation of measures that can help your people achieve their goals. Like customers, it can often be faster and cheaper to improve an employee's performance than hire new staff. By identifying the performance metrics for successful employees, you can also identify key requirements and skill sets for new hires, thus making recruiting less of a game of chance. Company services delivery creates an initial strong impression for every customer. Prospects and customers gauge whether a company delivers what it promises and whether it delivers on time—so its critical that the company measure the same. Compare your delivery performance to your sales trend. One usually lags behind the other but they are directly related. Sales people can also use this data to better inform their customers. If your company is experiencing longer lag time for delivery, your sales people can adjust their promised delivery dates. Of if customer satisfaction scores for a given product fall, quality control may need to step in. Organizations spend an inordinate amount of time reviewing the wrong data; or at least not the most valuable data that can lead to the most timely progress for the most important objectives. The challenge is to identify which data sets deliver the biggest impact, discover the most telling metrics and display them in a way that makes the information immediately actionable. Organizations spend an inordinate amount of time reviewing the wrong data; or at least not the most valuable data that can lead to the most timely progress. The challenge is to identify which data sets deliver the biggest impact, discover the most telling metrics and display them in a way that makes the information immediately actionable.